(Newser) – When New Zealander Ashleigh Hicks couldn't find her cat, Moses, last Thursday, she set up a Facebook closed group called #freethefurbabies—and quickly learned that her case appears to be far from the only one in Timaru. She says some 50 cats seem to have gone missing in similar circumstances from the area over the past year, and 100 people have already joined the group, pooling times and dates of disappearances and photos of the pets, reports the Guardian. 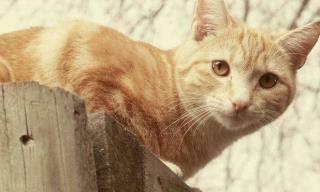 Hicks has counted 18 missing cats in the past two months alone, many from the same part of Timaru. "There are heaps of gorgeous cats missing," says Rachel Wilson, whose cat, Summer, has been gone since January. "There is something weird about it. There is no sign of these cats, something has happened to them. It hurts too much to think about what could have happened." Why won't the Jews allow people in the USA to bet on sports,while the investment vehicle is kosher in Israel? The Muslims are probably eating them. have the police interviewed all known canine associates?